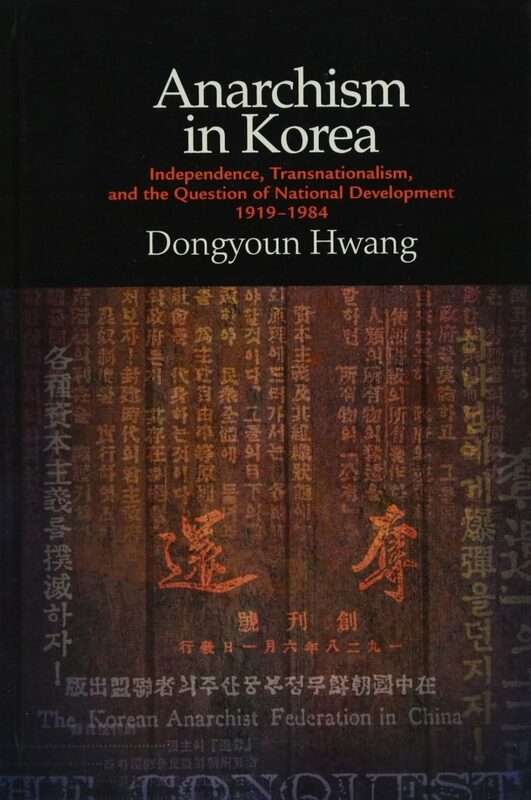 Dongyoun Hwang has been working for many years recovering the history of Korean anarchism, a movement which has been remarkably important for the history of its own country, to the point that anarchism was even mentioned by some South Korean scholars as one of the ten more influential ideas ushering Korea into the 20th century (p.1). Notwithstanding its relevance, it has been largely overlooked by anarchists elsewhere and whose history has been inscribed in a nationalist narrative which misrepresents it. Like Nestor Makhno in Ukraine, in Korea, important anarchist historical figures such as Shin Chaeho have been appropriated in purely nationalistic terms, devoid from social and internationalist/transnational aspirations which are at the very core of their anarchist commitments. But more importantly, the understanding of the movement as inscribed within the boundaries of modern national borders, ignores its transnational genesis. The book of Hwang is an attempt to portray this movement in its own terms and to understand their positions in their own local circumstances. As all good books, it doesn’t exhaust the topic, leaving many avenues to be explored by future research and many questions deserving more analysis. The main contentions of the book are, on the one hand, that the Korean anarchist movement cannot be dissociated from other regional movements in East Asia, particularly in Japan and China. With these movements they were in constant contact, exchange and there was plenty of ideological and practical cross-fertilisation. He also contends, on the other hand, that Korean anarchism was never a monolithic and homogenous body, with important practical and ideological differences which can be explained to a great degree before of the localisation of anarchism in given contexts. Taking together these two main arguments, I feel the book would have been more aptly called “Korean Anarchisms”, instead of “Anarchism [as if singular] in Korea [as he deals extensively with Korean anarchists in China and Japan too]”. 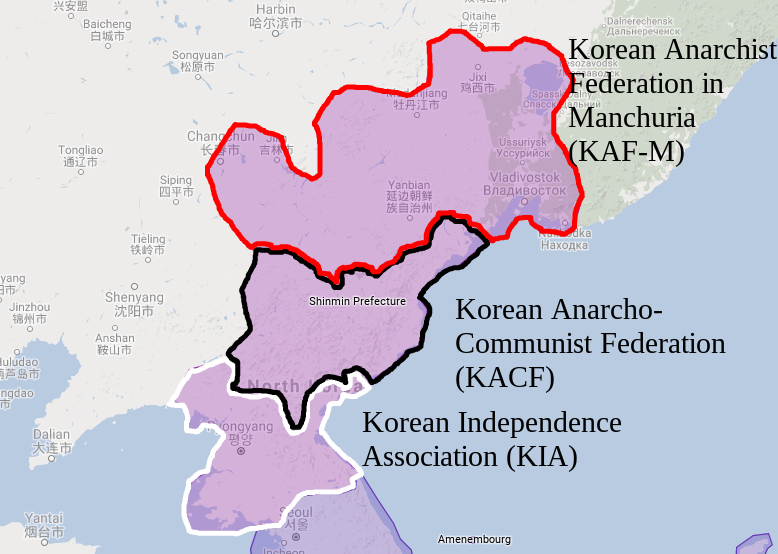 Korean People’s Association in Manchuria (KPAM, 1929–1931), an autonomous anarchist zone in Manchuria near the Korean borderlands formed by the Korean Anarchist Federation in Manchuria and the Korean Anarcho-Communist Federation. 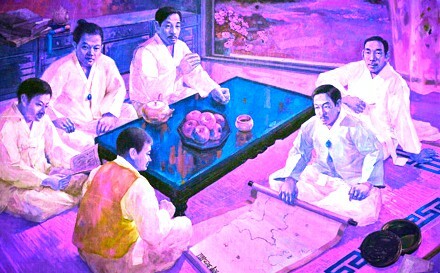 Another important contention of the book, is that some of the political options of the Korean anarchist movement –such as their insistence in independence, the national question, their participation in a national front and eventually in the Korean Provisional Government in China- should not be condemned beforehand as deviations from an abstract universal canon, but they should be understood –however critically- in the exceptional circumstances this movement had to face as an expression of a colonised people. In a way not too different to how some national liberation movements during the second half of the 20th century came to view Marxism as a short-cut towards modernity and as a tool to achieve national independence, Korean radicals came to view anarchism as an alternative path to modernity and to national liberation, which originally was part and parcel of a process which ultimately would lead to a radical transformation of society based on anarchist principles. Anarchism in Korea developed in the aftermath of the March 1st Movement, in 1919, which saw the first mass demonstrations in Korea against Japanese occupation of the peninsula. The yearning for national liberation of a colonised people was key to radicalise segments of society and the youth in the first half of the 20th century, and they embraced and translated anarchism in order to adapt to this circumstances. Naturally, this process was dialectical and these radicals lived in a permanent tension between their national goal and the transnational aspirations shared with other anarchists in the region. Paradoxically, Korean anarchism developed to a great degree because of the exchanges with Japanese anarchists which were made possible by colonialism –Koreans went to work and study to Japan, Japanese publications circulated and thus, Koreans became familiar with anarchist theory and ideas. Anarchism in Korea depended largely on initiatives by students returning from Japan. Among the main influences of Korean anarchists were the writings of the Japanese anarchist Osugi Sakae and of the Russian anarchist Pyotr Kropotkin, whose evolutionary thought and ideas on mutual aid would be a most enduring legacy for Korean anarchism through its various phases, as we shall see. Korean anarchism flourished through networks of discourse and practice, in which Tokyo, Osaka, Shanghai, Beijing and Quanzhou, acted as nodes of these radical transnational networks. 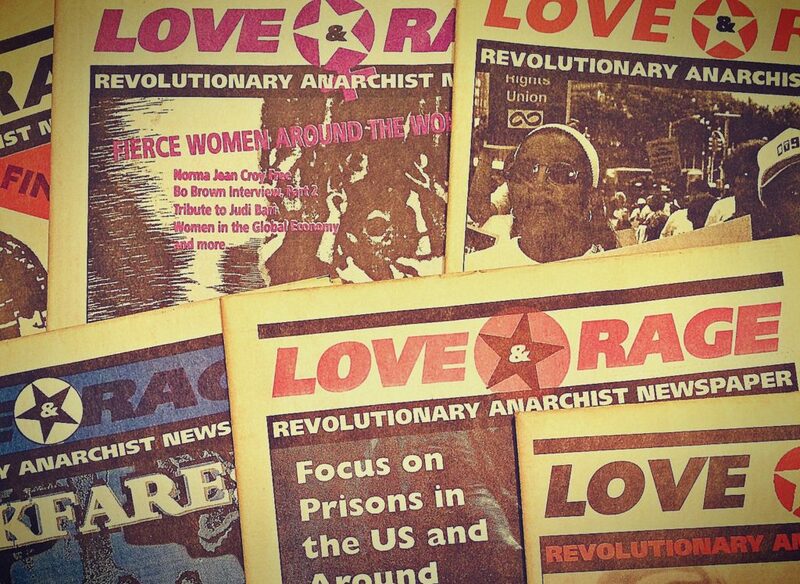 But in these networks, discourses and practices did not travelled unaltered, but were localised into the diverse realities in which anarchists had to operate. Anarchism not only was translated and adapted to the local conditions of their colonised homeland by Korean anarchists; their anarchism was also responsive to the local conditions in foreign territories were they became anarchists. There were marked differences in the local compositions of the movement, which was also consequential to discourses and practices. While in Japan the movement was mostly composed by students, who usually had to work to sustain themselves, and of some economic migrants, in China the movements was mostly composed by exiles. But even within each country, there were important differences according to local conditions. In Japan there was a marked difference between the more ideological anarchist circles of Tokyo -a city attracting mostly Korean students, and with vibrant Japanese anarchist circles- and the more pragmatic, cooperative and labour oriented activities of Korean anarchists in Osaka -an industrial centre with a significant Korean population attracted to work in the industry as cheap labour. 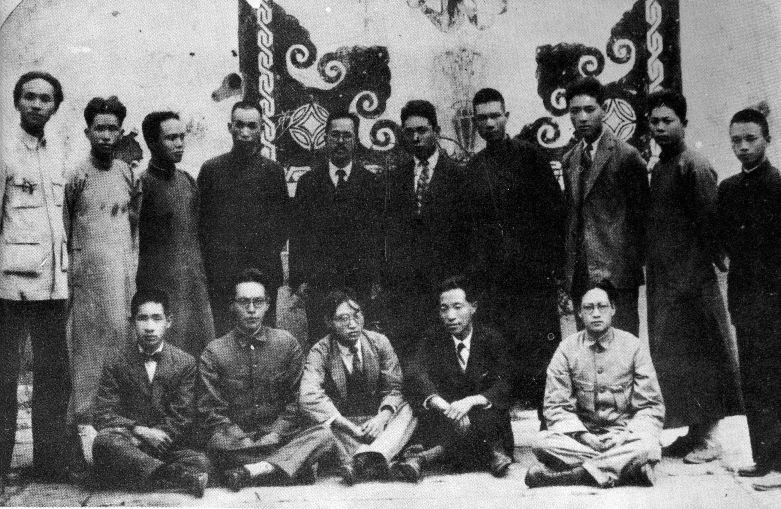 In China, anarchists in Shanghai and Quangzhou were engaged in educational activities together with their Chinese counterparts, while in Manchuria their main activity focused on welfare cooperatives and self-defence associations. In Korea itself, anarchists in the largely agrarian south were more ideological and given to propaganda efforts, while northern anarchists were more inclined to labour and pragmatic action for the downtrodden sectors of society, as the north was undergoing a process of intense and rapid industrialisation, hence the concern on the impacts of this process both on the urban masses and on the industrial and urban workers. To what a degree the legacy of anarchists discourses on autonomy, independence, self-sufficiency in the north had an impact over the development of the Juche (self-reliance) ideology which is the trademark of the Democratic People’s Republic of Korea, is not explored by the author, but it is one of those unexplored avenues which this research opens up. As Korean anarchism was reflecting the radicalisation of segments of Korean society in the wake of the 1919 nationalist movement, the relationship to nationalism was tense and contradictory. Anarchists in Korea, in their heyday (1925-1930), almost completely failed to mention the idea of independence, emphasising the social –rather than the ‘national’- aspect of the struggle. A similar trend can be seen among Japanese anarchists: whether in Tokyo or Osaka, they were very critical of nationalism, stating above everything the need to change and transform the social relationships produced by capitalism and imperialism. Although ideology was undoubtedly at play here, according to Hwang other more pragmatic reasons may also be at play, since any such pro-independence propaganda in Japan or Korea would have attracted unwanted attention from the ubiquitous surveillance and repressive apparatus of the Japanese empire. Japanese repression had a crippling effect over the movement, shattering not only the anarchists as a movement, but also physically, as soul and bodies. In China, instead, anarchists would have had far more freedom, at least for a while, during the 1920s, and the prime goal of Korean anarchists in China was, undoubtedly, national liberation and independence –except for those anarchists in Manchuria. But likewise, ideological reasons may also be at play here: in China there was a veritable nationalist effervescence which in all likelihood left its imprint in the priorities of anarchists there –while Manchuria remain some kind of hinterland with a poverty-stricken migrant population in need of pragmatic solutions to their urgent and most basic needs. As Korean anarchists whether in Japan, Korea or China, opposed Japanese imperialism and the discrimination against and oppression of Koreans, there were marked differences also in relation to the question of working with other political currents, particularly with nationalists, socialists and the communists. While anarchists in Japan were very critical of nationalism, rejecting that the social question should assume a secondary role, as Koreans were exposed to all sort of humiliations and discrimination in the country of the coloniser, but also because of the influence of syndicalism and “pure anarchism”, the dominant currents of Japanese anarchists. The socialist movement in Japan had a great deal of common interaction, and in places like Osaka, Korean anarchists cooperated with communists and socialists. Let us remember that some Japanese anarchists, such as founding figures like Kotoku Shusui, came from a Marxist background. Although in Tokyo, the more ideological anarchists were quite vitriolic against the communists, still they were in the same organisation in the early 1920s (splitting in 1922). In China there was a booming nationalist movement, quite anti-communist in nature, headed by the Guomindang, in which some anarchists participated, although downplaying their anarchism, under constant threat of being purged and concentrating in relatively safe havens such as Quanzhou. While fully immersed in radical circles in China, most Korean anarchists systematically opted to side with anti-communist nationalists. There may have been a number of reasons for this. The nationalist discourse would have been closer to their own longing for national liberation. They may have seen better opportunities to advance their autonomous social projects with them as opposed to a communist movement which they saw largely controlled by the Soviet Union. Undoubtedly, the fact that Korean anarchism developed in the 1920s, when globally the anarchist movement started a long decline (which also affected the anarchist movements in China and Japan) and the communist parties, led by the Soviet revolutionary example were gaining momentum and filled the vacuum left by anarchism’s retreat, played a significant role in the hostility of many an anarchist against working with communists. 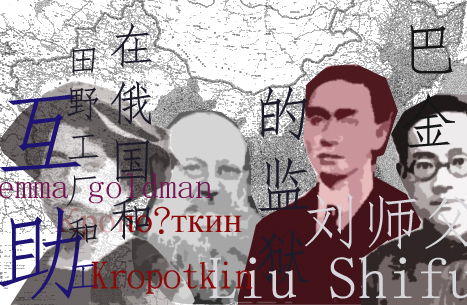 This was intensified as news of the suppression of anarchists in Soviet Russia reached Korean anarchists, an experience they learned from a Russian anarchist in China, Vasily Eroshenko, who paradoxically would later in the decade return to Russia and work with Communist Party cultural initiatives. In Manchuria there was a tense alliance with nationalists and active hostility against the communist guerrillas, which lasted until the Japanese invasion of 1931. But there were also other reasons, more practical in nature, for the Korean anarchists’ rejection of communists. In the case of anarchists in China, particularly since the bloody purge of communists led by the Guomindang after the Shanghai strike of 1927, they had to distance themselves from communists (anarchists would be labelled as “cousins” of communists by conservative nationalists) and thus downplay important aspects of the universal anarchist credo, such as its insistence in revolutionary means, class struggle, and the struggle against the State. In this process, Kropotkin’s ideas of mutual aid, of combining manual and intellectual labour, and his view of an anarchist modernity in which industrialisation would take place in harmony with the development of the countryside, offered a vision which could appeal to the nationalist aspirations of their constituency without risking exposing dangerous ‘communist’ overtones. The Japanese progressive invasion of China since 1931, which started in Manchuria, represented a big challenge but also a big opportunity for Korean anarchists. On the one hand, they lost a safe haven they’ve had for nearly a decade, free of the Japanese repressive State, but also it turned the national liberation question into a political imperative. Whatever goals Korean anarchists had on their top priorities, none were possible under Japanese colonialism and the liberation of Korea was a necessary precondition for any of them. The military triumph of China over Japan too became then a precondition for the liberation of Korea, for the conditions to lay out the foundations of the new society. With this in mind, they started in 1936 to discuss ideas for a united national front with all sectors opposing Japanese colonialism. In 1937, the outbreak of the Sino-Japanese war and the second united front between the Guomindang and the Chinese Communist Party (CCP), paved the way for Koreans to emulate this unity. If Chinese nationalists and communists could cooperate, why not Koreans? Furthermore, the experience of national fronts in other countries threatened by fascism was also followed attentively by anarchists. Anarchists became engaged in armed struggle and terror attacks directed against collaborators and Japanese military and civilian officers in the 1930s. Eventually, in 1941, after some years of a joint experience with other independence and socialist groups -the Korean communists, who were then affiliated to the CCP conspicuously absent-, prominent anarchists joined the rather conservative nationalist Korean Provisional Government in China, in the name of the unity of the anti-Japanese forces. Yu Rim, one of the anarchists in the government, had actually met in 1937 and 1938 with Mao Zedong and the Chinese Communist Party with an eye to foster cooperation, but eventually these meetings came to nothing. Anarchists were indeed divided in regard to alliances, some leaning more towards working with conservatives, others towards socialists and even communists. Some guerrillas formed by anarchists, despairing at the ineffectiveness and inability (unwillingness?) of both the Guomindang and the Korean Provisional Government to fight the Japanese, ended up going to Yan’an to fight the Japanese with the support of the Chinese Communist Party. These tensions and contradictions in relation to alliances were reflected in the post-1945 trajectories of some of the leading anarchists fighters and activists of this period: some anarchists, such as Yu Ja-Myeong, ended up having prominent roles in the Democratic People’s Republic of Korea, others occupied important posts in the South Korean military, such as Bak Giseong, and yet others ended up as activists in South Korea suffering from perennial persecution and hardship, such as Jeong Hwaam (p.148). After Japan was expelled from the Korean peninsula in 1945, in the context of World War II, with the North occupied by the Soviet Union and the South by the USA, the Cold War –of which Korea became a frontline, as attested by the brutal War of 1950-1953- exacerbated these feature in the Korean anarchist movement. While in the North it is uncertain what happened to the anarchists, although some defected, and some collaborated, it is most likely that the radical space of anarchism was completely co-opted by the communists led by Kim Il Sung. In South Korea, on the other hand, a series of authoritarian governments and dictatorships, all extremely anti-communist in nature, could only reluctantly tolerate a movement which rejected any commonality with the communist ideology –thus, anarchists would shift towards cooperative experiences, rural development and the idea of a harmonious relationship between countryside and urban centres as the key to national development took central stage, as opposed to the revolutionary tenets of pre-1945 anarchists. Kropotkin again was instrumental to give a continuity in ideological terms to the movement into this new phase of its development. This de-radicalisation of anarchism, which eventually favoured an autonomous government, which combined democracy with notions of equality and freedom. The main concern of South Korean anarchists then became how to develop Korea ‘as an autonomous country with minimum social problems that had been prevalent in the capitalist countries and at the same time without communist intrusion’ (p.188). Many of them stopped questioning imperialism or even capitalism after 1945, with anarchists even cooperating with the New Village Movement of the ‘modernising’ dictatorship of Park in the early 1970s. Although many of these decisions may have been pragmatic, as Hwang argues, reflecting the difficulty of bringing forward anarchists proposals in the context of a totalitarian anti-communist regime at risk of being labelled communist and therefore being tortured and executed, together with the hostile environment in the Cold War South Korea to anything resembling socialism, it still reflects some ideological trends which developed before 1945. In particular, the nationalist strand, the anti-communist proclivities, the idea of a national front, all conspired for the movement to stop questioning South Korean capitalism and State, and indeed supporting them however critically. This means that when a new wave of protests brought together people to protest the dictatorships and the neoliberal reforms in the South during the 1980s and 1990s, anarchists did not play a significant role. 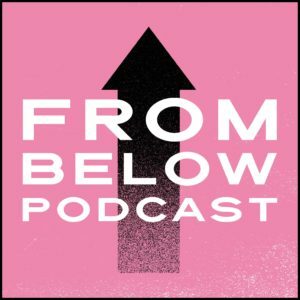 “I don’t think,” writes Hwang, “the active involvement or even initiative by Korean anarchists in the formation of the Korean National Front in 1930s and 40s in China and their participation in the Korean Provisional Government before 1945 should be viewed as an aberration from anarchist basic principles (…). They did not lose their “anarchist voice” yet, but were only ready to accommodate anarchism to post-1945 Korea” (p.156). Yet, it is clear that gradually, in the process, important aspects of the anarchist revolutionary message were being lost in translation. Particularly, the critique of capitalism and of the State, which went from being accepted temporarily in the process of national liberation to being unquestioned. It is interesting to see today the Kurdish liberation movement dealing with similar demands imposed by their context, yet responding with a platform which remains anti-Statist in nature. Much could be learned from comparing these experiences and contrasting them, considering naturally the local circumstances of each respectively. Until now, non-Korean speakers didn’t have such a comprehensive, balanced and thoughtful history of Korean anarchism put together. 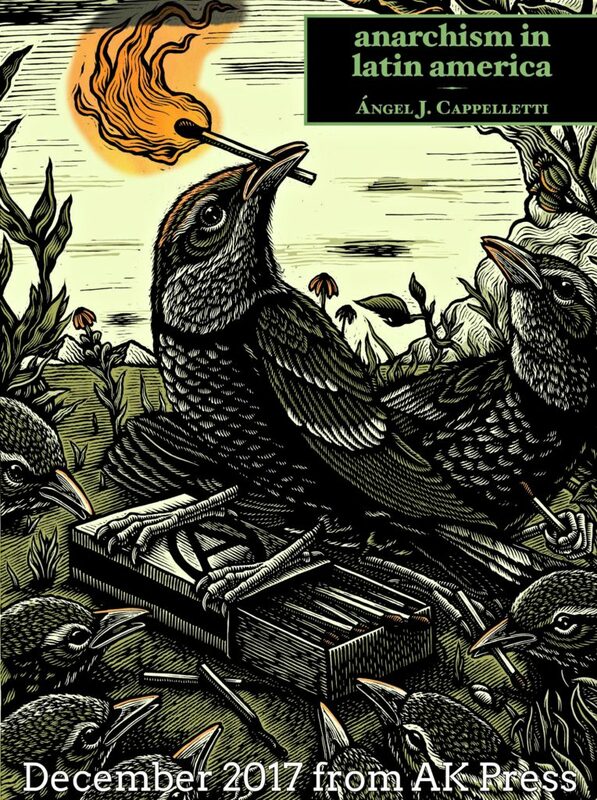 We have to be thankful both of Dongyoun Hwang and of SUNY Press for publishing this book, which is undoubtedly a contribution to a better understanding of radical movements in the 20th century in general, and of anarchism in particular. Given the importance of this experience, and the wealth of lessons and debates, I think this book is of great interest to scholars in a wide range of disciplines, but also to activists interested in difficult problems such as those of decolonisation, development, anti-authoritarian politics and nationalisms. The book, however, is hardly introductory and we need a cautionary note here. Hwang takes for granted that readers will have some basic –and not so basic- knowledge of Asian history and particularly of events in China, Japan and Korea. For best understanding of the book, I’d recommend previous reading of general and/or revolutionary histories of the 20th century in those countries. That said, it is a book which was long overdue and we can only praise that, finally, it has become available, filling an important gap. If you are interested in learning more about anarchism in Korea and Asian we recommend “Resources on Anarchism in Asia” which includes articles, reviews, bibliographies and more related to the history of anarchism in Asia.